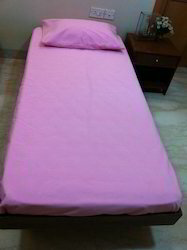 Leading Manufacturer of waterproof mattress protector from Mumbai. Owing to our rich industry experience, we are manufacturing and supplying optimum quality Waterproof Mattress Protector. These mattress protectors are available both in roll form and in fitted sheet forms of different sizes. The unique nature of polyurethane films of breathability in these protectors provides comfortable feel to the body resulting in restful sleep. Looking for Waterproof Protector ?